The 'Global Modernisms/Global Modernities: Developing Transcultural Reading Practices in a Global Age' Summer School will take place within the MQ-FU-HAM trilateral partnership and the phase-2 DAAD Subproject-9 “Modernisms and Modernities East, West and South: Comparing Literary and Cultural Experiences”. The Global Modernism program will be complemented by sessions on German culture and history—topics will be discussed and taught on field trips and during excursions. A language course and extracurricular activities, such as a day trip to Berlin, are also included into the Summer School. Join us for knowledge, credits, and fun! The core program consists of three main themes: ‘Reading Global Modernisms and Modernities’, ‘Word and Image in the U.S. and Europe, 1900-1950’, and ‘Anglo-Chinese Counter-Influences, 1900-2000’. These themes will be complimented by guest lectures on focused topics and two museum excursions. You will learn about historical and theoretical concepts, you will read source texts and you will have the opportunity to discuss advanced research questions with leading scholars from Macquarie University, Fudan University and Universität Hamburg. Students will explore aspects of German culture and experience it first-hand during field trips in Hamburg and on guided day trips to Berlin and the Hanseatic City of Lübeck. Courses will let you delve into the history of our beautiful city and learn about cultural phenomena, such as harbor life and hanseatic trade. 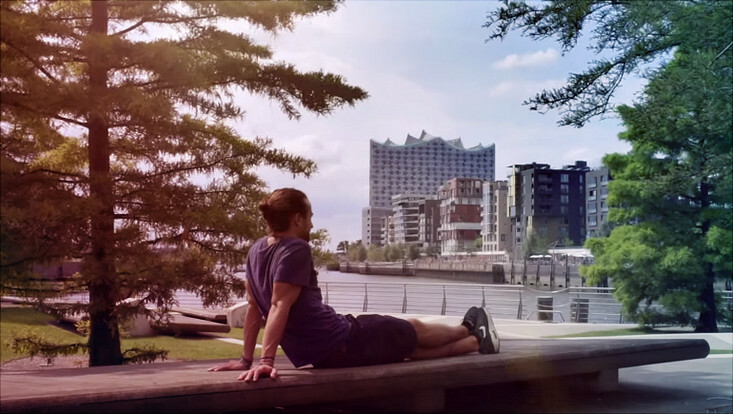 Studying in and near the old Jewish quarter, in which the main campus of Universität Hamburg is located, will provide you with intriguing additional perspectives on life in Hamburg. During your first week of your four weeks program in Hamburg you will learn basic German to get an understanding of the language and the culture behind it. Your newly acquired language skills will make life in Hamburg even more convenient. In addition to the studies and the complementary program, the Summer School offers extracurricular activities such as city tours, visits to museums and other exciting opportunities to learn and experience culture and life in Hamburg. *Not applicable for bachelor's students in 4th year of study. Confirmations of enrollment will be sent out approx. four to six weeks after the application. Please apply using our application portal. You can find the guidline for the application portal here. Application period starts on January 21, 2019. Program fees will be paid after confirmation of enrollment. with an official seal from the Universität Hamburg , provided of course that you meet all requirements. Students who wish to earn credits receive, upon successful completion of the programme, an official transcript stating the courses taken, credits earned and grades obtained. Students from strategic and key research partners will receive a 20% discount on program fees. If you are not sure whether your institution holds a partnership agreement at university level with Universität Hamburg, please contact the international office at your home institution. The purpose of the scholarship is to support low-income students and early career researchers to pursue and achieve success in education. The scholarship waives 50% of the tuition fees (Package A: 1375 EUR, Package B: 1100 EUR, Package C: 475 EUR). early career researchers with a low-income background. prospects of success of your participation in the program. The aforementioned documents can be uploaded using our application portal. Applicants will be informed about the decision via email within three weeks. The financial support of students is possible thanks to funding from the Hamburg authorities responsible for Science, Research and Equality (BWFG). further funding possibilities on the website of the German Academic Exchange Service. Students who are enrolled in a degree program at Universität Hamburg at the time of the summer school may also apply. The program for Universität Hamburg students is limited to core and to the complementary program as well as to extracurricular activities. The following services provided for international participants are not provided to students from Universität Hamburg: participation in the language course, accommodation, lunch vouchers, and the public transportation ticket. Further, flight costs to and from Hamburg, visa costs (if applicable), costs for meals and other personal expenses are not covered. For Universität Hamburg students, tuition fees will be waived if they agree to support international participants and extracurricular activities within the Summer School as tutors. Tutoring includes support of 3–5 extracurricular activities, some of these activities may take place on weekends. Costs for the support of such activities, e.g., entrance fees and train tickets, will be covered. Students from Universität Hamburg are subject to the same application procedure as international students. For applying to the Summer School, please follow instructions listed under the tab "Application." This project aims to create a dialogue between four cultures—British, American, Australian, and Chinese—to address how these societies have reacted and continue to react to the upheavals of modernity. Essential to this discussion is the degree of counterinfluence as these cultures have critically negotiated their traditions and developed new forms of cultural expression. It will also address the question of what survives of modernism and modernist practices in an era of globalization and climate change. For more information on our modernism and modernities research at Universität Hamburg, click here. Attending the Summer School means studying at the biggest research and education institution in Northern Germany. Universität Hamburg hosts a total of 42,000 students in eight faculties and is situated only a few hundred meters away from the city center and the beautiful Alster Lake, an oasis in the middle of this bustling city. The main campus is equipped with numerous libraries, three dining halls, numerous cafés and other leisure facilities inviting students to relax in between or after lectures. At the newly designed campus in Bahrenfeld, a short bus drive from the city center and your hotel, you will be able to visit some of the world's leading research institutions in physics and other fields of the natural sciences. No matter at which campus your study sessions will take place, you will get authentic insights into Campus life and get to know local students.